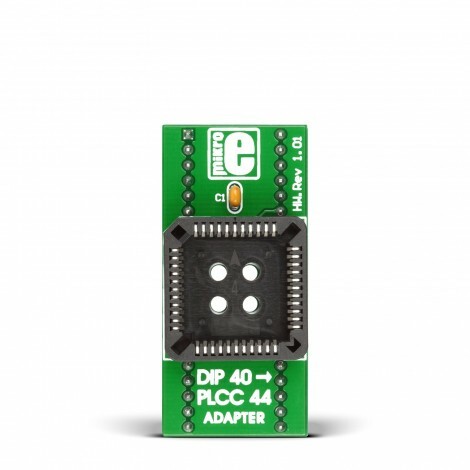 The DIP to PLCC44 Adapter Board is an effective and low-cost board for DIP to PLCC44 conversion. You just have to plug a PIC into this adapter. After the programming process is finished, you can remove it from the adapter. 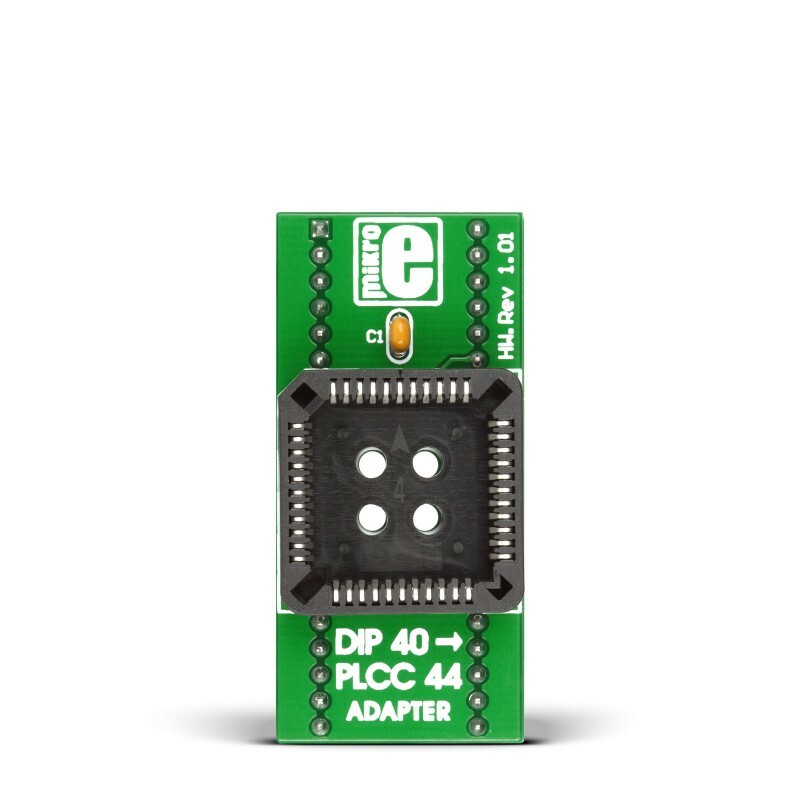 In order to use a PIC with the PLCC housing shape in a device that supports only DIP packaging, a PLCC adapter is required. You can also use this board with your programming board which contains DIP40 socket. Once the programming is complete, the MCU can be pulled out of the adapter. The following PIC microcontrollers are supported by this board: 16F74, 16F77, 16F871, 16F874A, 16F877A, 18F242, 18F252, 18F442, 18F448,18F452 and 18F458.